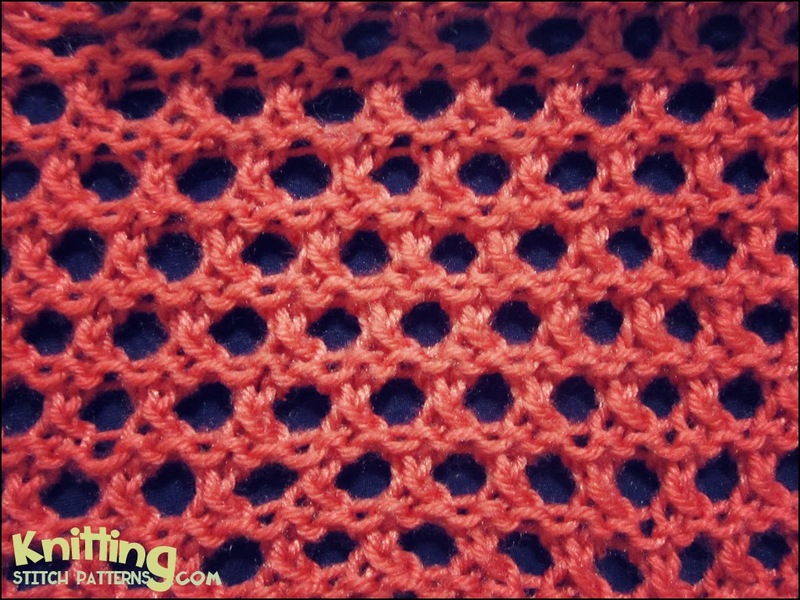 Open Honeycomb stitch is a 4 row repeat and is knitted in a multiple of 2 sts + 1. Row 1: (RS) Purl all sts. Row 3: Knit 1, * bring working yarn to front under the needle, slip 1 stitch knitwise, bring working yarn over top of needle to the back (this produces a yarn over that crosses over the slipped stitch), knit 1, pass slipped stitch over; repeat from * to end.